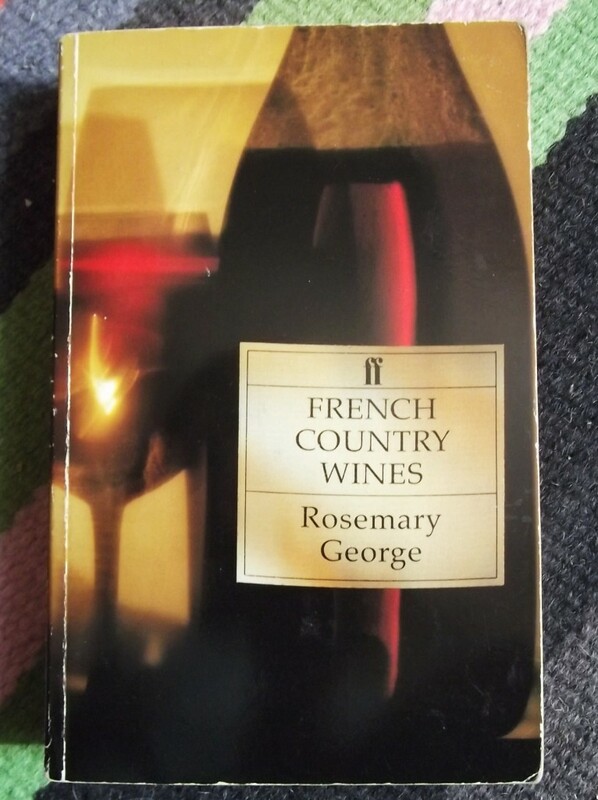 For the fourth blog in my short (and very occasional) series on favourite wine writing you get two for the price of one because, uniquely, Rosemary George has multiple books on the list. Both are there for the same reason – they take lesser known wine regions and make you want to explore them. French Country Wines was just one of a fantastic series of wine books published by Faber and Faber in the 1980s and 90s, but this is the one I go back to more often than any other. It includes detailed information on all of France’s lesser-known wine appellations while ignoring completely the likes of Bordeaux and Burgundy. While that appeals to the inverted snob in me, what makes the book a pleasure to read is the quality of Rosemary George’s writing. This isn’t a dry collection of facts or a list of scores out of 100 but a lovingly rendered description of the regions and their winemakers. Of course, in wine terms it’s largely out of date, harking back to a time when wines like Marcillac were barely surviving and the wine revolution in the Languedoc had hardly started. Now you can find Marcillac on the shelves of adventurous UK wine merchants and supermarket shelves are awash with Pays d’Oc. Even so, there are wines mentioned that you will struggle to find outside their local regions and if you’re travelling in France the book still serves as a useful reference guide. And it’s still a good read. The Wines of Chablis spends most of its time discussing, well, Chablis, but it’s the small section on the other vineyards of the Yonne region that makes this book special. When George writes about the northern Burgundies made in the villages of Irancy, St. Bris or Coulanges, or around the towns of Tonnerre, Joigny and Auxerre, there is an element of social history and nostalgia that I find attractive – frequently it feels like she is penning the obituaries of dying wines, that without her writing they would disappear without a trace. At the time (the book was published in 1984), Irancy was already recovering from its post-war low, but elsewhere there were a often just a few acres of vines planted here, another patch there, while many winemakers were old, with nobody destined to replace them. The book contains reprints of detailed maps from the early 1900s showing once famous vineyards like (the unfortunately named) Migraines or Quétards that by the 1980s had disappeared, often swallowed by urban expansion. 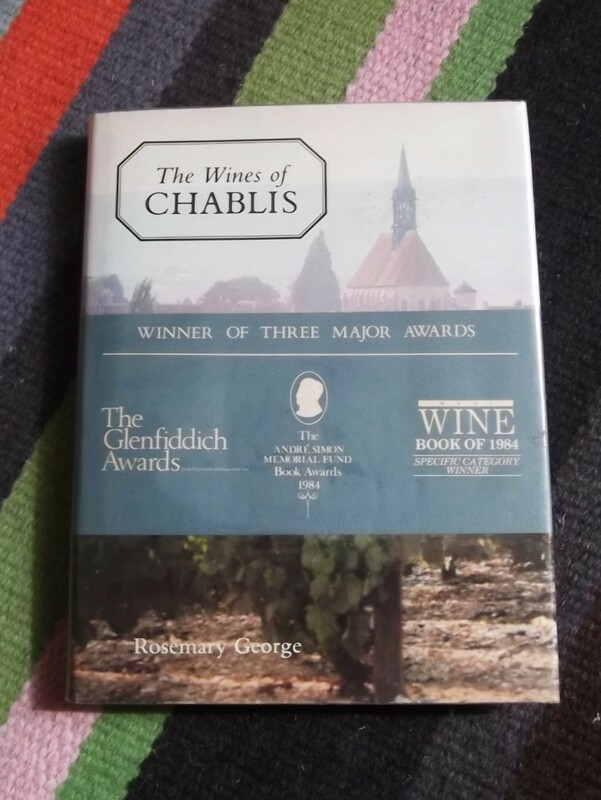 An updated version, The Wines of Chablis and the Grand Auxerrois, printed in 2007, still devotes most of its pages to Chablis but it paints a far rosier picture of the rest of region. A new generation of winemakers has come along, in the process replanting some of the long lost vineyards, while Yonne wines, although hardly common outside their immediate locality, are available in the UK and USA. But while the new edition has plenty of colour photos that the original lacks and is the more up to date as a reference guide, it has lost the maps and (naturally) the sense of nostalgia for better times, which for me made up a lot of the book’s charm. Both books, or three if you count the updated version, should be available with a bit of searching on Amazon. Happy hunting and happy reading, perhaps with a glass of Marcillac or chilled St. Bris at your side. Note: This is the blog of Rhône Wine Tours, where I have the nerve to comment on other people’s writing. I also write about anything else Rhône food and wine-related that takes my fancy. Feel free to have a look around. There’s also a Facebook page with plenty of shorter bits and pieces and, last but by no means least, the Rhône Wine Tours website, which you’re only allowed to look at if you promise to book a tour or a tasting. This entry was posted on Wednesday, August 13th, 2014 at 3:11 pm and is filed under Wine and food literature. You can follow any responses to this entry through the RSS 2.0 feed. Both comments and pings are currently closed.